Multipolar neurons. 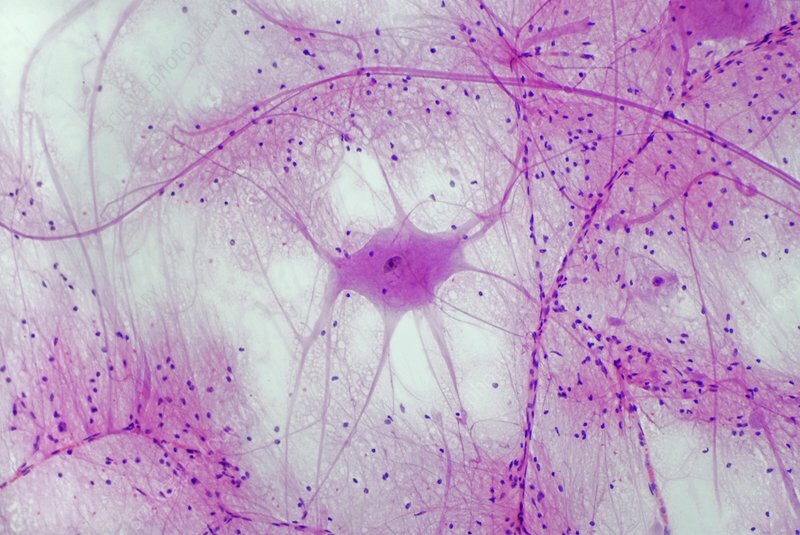 Light micrograph of a cluster of multipolar nerve cells (neurons) from the grey matter of a human spinal cord. The processes leading away from the cell bodies are dendrites, which form junctions with processes from other cells. Surrounding the neurons is a mass of supporting cells collectively termed the neuroglia, which lends both mechanical and metabolic support to the nerve cells. Magnification: x280 when printed 10 centimetres wide.